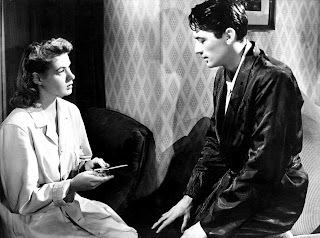 A psychological drama mixed with romance and a murder mystery, Spellbound dabbles rather unconvincingly with amateur psychoanalysis but does succeed better as a love story on the strength of the central performances by Ingrid Bergman and Gregory Peck. Dr. Constance Peterson (Bergman) works at the Green Manors medical facility in Vermont, providing psychiatric treatment to otherwise sane patients troubled by severe mental stress. With the impending retirement of Dr. Murchison (Leo G. Carroll), the current head of Green Manors, the staff are eagerly awaiting the arrival of noted psychoanalyst Dr. Anthony Edwardes as the new leader of the facility. When Dr. Edwardes (Peck) does arrive, Constance is immediately attracted to him. But something is not quite right with Edwardes: he has episodes of erratic behaviour and extreme agitation, triggered by black stripes on white surfaces. Despite a blossoming romance between the two doctors, Edwardes finally collapses from the stress of hiding a remarkable secret related to an unexpected death. Constance stands by his side and tries to unlock the hidden fears in Anthony's brain, with the help of her mentor and teacher Dr. Alexander Brulov (Michael Chekhov). Alfred Hitchcock constructs Spellbound as dual mystery, the first inside the head of Anthony Edwardes and the second a suspicious death that may be murder. Edwardes is psychologically escaping a reality that he cannot handle, but his escape is based on faulty conclusions that also represent his imminent downfall. Motivated by unexpected love, it's up to Constance to delve into the locked chambers of his mind to extract his deepest fears, and subsequently the truth as to who died, why and how. 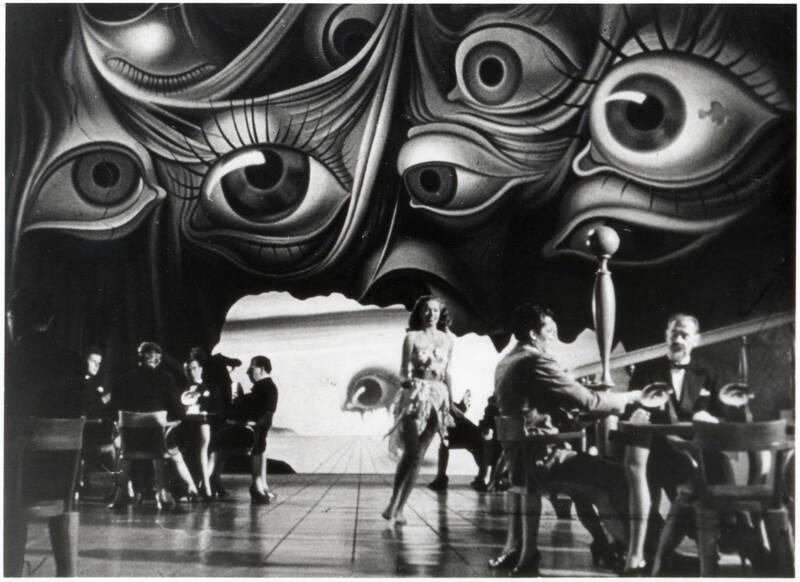 Salvador Dali was hired to design an artistic dream sequence, as Edwardes reveals a weird vision filled with scattered fragments of the characters and items that his brain is avoiding. It is a stylishly memorable interlude, a journey into a traumatized subconscious busy self-organizing fear into less threatening images. The rest of Spellbound's aesthetic is rather ordinary, Hitchcock unable to conjure up too much drama or suspense from the Green Manors campus or the New York hotel where Edwardes takes refuge. Gregory Peck and Ingrid Bergman find some immediate and intense chemistry, their emerging love a vital component that allows Constance to believe in Edwardes when even he does not believe in himself. Bergman's performance is an icy veneer hiding a passionate and playful core, while Peck creates in Dr. Edwardes a vulnerable man pulling off a great deception on himself, his act crumbling in public, his only salvation coming from a woman he just met. As it heads towards an implausible denouement filled with badly misbehaving doctors, Spellbound may oversimplify the science of understanding the secrets inadvertently held by the human brain, but it does cast a spell of entrancing entertainment.